Download the field trip permission slip here. You need one per field trip (that means two for most scouts). Field trips are held almost exclusively on Saturday, March 16, 2019, which is two weeks after the day of classes and the career fair. 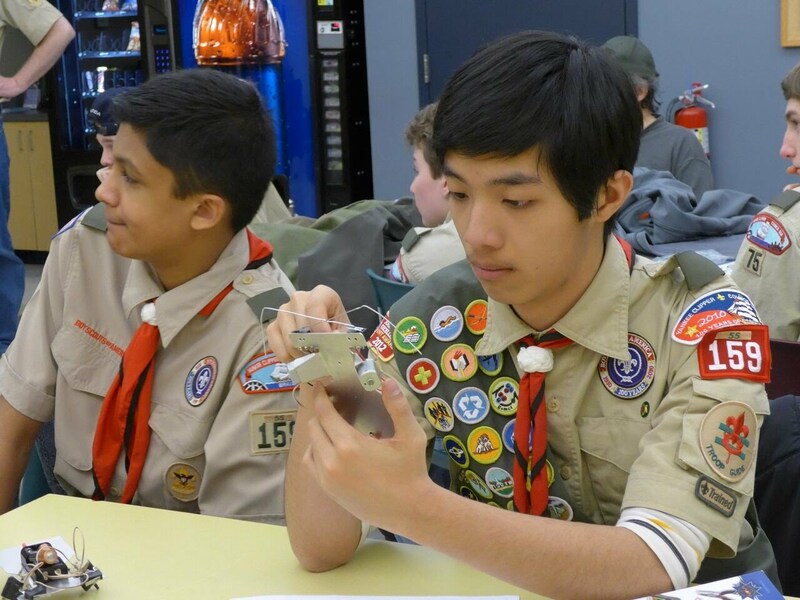 MORNING Merit Badge Sessions will have MORNING Field Trips (9:00am - 11:30am unless otherwise specified). AFTERNOON Merit Badge Sessions will have AFTERNOON Field Trips (1:00pm - 3:30pm unless otherwise specified). PLEASE CONFIRM FIELD TRIP DETAILS WITH YOUR MERIT BADGE COUNSELOR PRIOR TO MARCH 16th. Field trip locations may change from what is noted on this website. Parents, please drop off and pick up your scouts at the field trip sites, for both the AM field trip and the PM field trip. Unfortunately, in some cases, we cannot allow parents to join scouts during the field trips because of space and possibly other restrictions. Please check with your Merit Badge Counselor. We are neither using UMASS Lowell as a hub for field trip travel nor are we providing transportation. However, some field trips may be at UMASS Lowell. Double check your merit badge pages to confirm exact days and times for field trips. Information on specific field trips, when it is confirmed, can be found on each respective merit badge page.